Keep Track Of Your Health. Personal Health Record (PHR) - Having a bad day? Left behind a paper medical file? Not to worry, we have the perfect solution. All you need to do is, key in all your medical data into our app or web portal’s electronic personal health record (ePHR) and they will be recorded and saved. 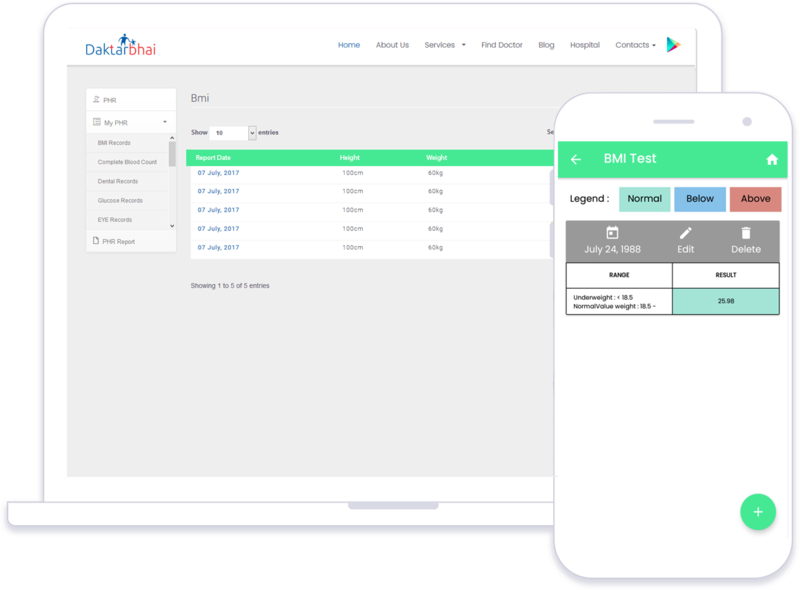 This ePHR will not only help you get paper free treatment, it’s smart features will give you AI indications on what is the next best solution to your health hazards. This will also save treatment time and cost by allowing doctors to get a precise view of your health status at a glance. Be safe live smart!. Get the Daktarbhai app for your phone today and take charge of your own health! 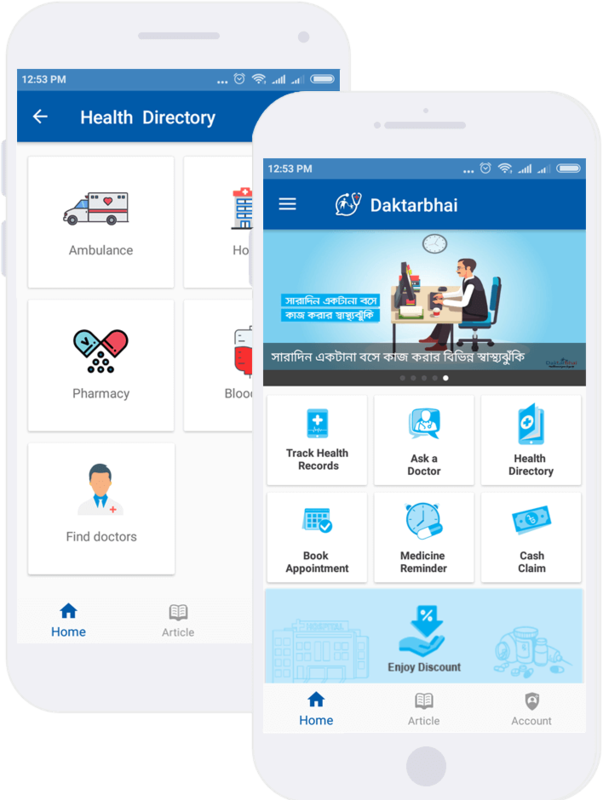 Go to Google Play Store & Ios app store Download our Daktarbhai app to enjoy your paper-free Medical Health Record System. Be the first to record your medical issues & live smart.